The ultimate iPhone photo editing app? PhotoForge2 is a universal app that comes as an upgrade to the previous PhotoForge editing and painting application for iPhone and iPod Touch. PhotoForge was already a very comprehensive app, allowing sophisticated photo editing before other apps also added similar tools. For instance, working with curves was a rarity at first, therefore PhotoForge was regarded by many users as the ideal replacement of famous desktop editing software on iPhone. 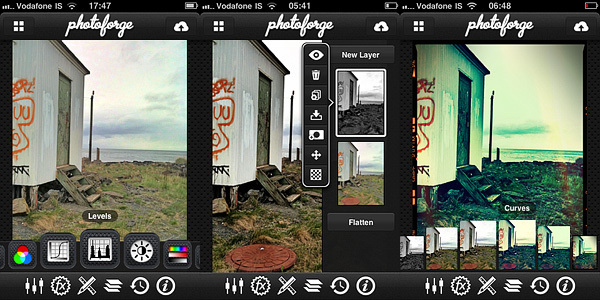 The new PhotoForge2 contains most of the elements that were already included in its predecessor, adding at the same time much more. Send via email or share with Twitter, Flickr, Facebook, Drop Box, Picasa, Tumblr, FTP. In PhotoForge2, you can start a project either with a shot taken with the built-in camera or with any image from your iDevice. All your projects are stored in the project list and you can go back to any of them at any moment. Projects you are working on are automatically saved. You can edit your photos using Adjustments, FX, Tools and Layers. The visual history feature will let you undo unnecessary edits. While editing, you can zoom and pan as it pleases you by finger-pinching on the photo or you can examine the photo at its full resolution by double tapping. Adjustments includes a series of instruments that affect your photo at its core: Curves, Channel Mixer, Levels, Brightness/Contrast, Exposure, White Balance, Noise Reduction, Sharpen, etc. These are the tools you will be using the most if you’re used to work with full-fledged photo editing software. Tools let you resize your photos, crop them (different aspect ratio and free cropping are both available), and add frames and textures. You have more than ten textures and eight borders that come with your initial purchase, but you can expand your collection by purchasing the Pop! Cam expansion. Pop! Cam is available through the FX section (the in-app purchase is $1.99). As the name clearly states, FX contains a collection of various ready-to-use effects, much simpler to handle than editing using Adjustments. With a simple tap, you can turn your photo into black and white, add a 3D effect, add blur to the image, and so on. Pop! Cam contains additional effects (film simulation, different lenses, etc. ), other than more borders and textures. It also contains a randomizer function, for randomly applying styles to your pictures. Before you buy, you are allowed to see Pop! Cam in action and try all its features. Layers permits fully functional enhancement of your photos using layers: you can import multiple photos from your device, add masks, change blending modes, and more. Layer support is definitely one of the most interesting features in PhotoForge2 and one of the things that, alone, is worth the app’s purchase. Among the aspects I find more interesting is that once your photo has effects added to it, you can filter it over. This means, for example, that if you add a border to your photo at first and the border doesn’t quite mix with the feel of the filtered image, you can re-filter both as a flattened image and have them blend beautifully. In other apps either you cannot filter over a border because it always remains on a separate layer — unless you save and re-open the image — or, if you can, you get a so-so looking image. Different results obtained with PhotoForge 2 on iPhone. Rendering times in PhotoForge2 are perhaps not that great on older iPhone models. Even to simply adjust brightness and contrast takes more than it does with other apps, where rendering is immediate. What struck me as an atypical choice, to say the least, is the total absence of camera features. Editing a photo can be OK in most cases, but starting your work with a better image helps, too. PhotoForge2 is not exclusively a post-processing app: as a matter of fact, it allows taking photos; yet, developers did not spend time improving the built-in camera. The former PhotoForge was the same, but it definitely was a less complete application. Anyway, this is just a consideration and it won’t affect the general opinion I have of PhotoForge2, in case you’re wondering. If you are looking for the closest thing to a complete editing photo app currently available for your iDevice, PhotoForge2 is a must-have: the number of features is impressive, making it a very comprehensive app, especially for iPhone — there are just a few others options, especially on iPad/iPad 2. It must be said though that the price of PhotoForge2, in-app expansions excluded, will be a turnoff for more than a few users, I am sure. PhotoForge2 is on sale: you can get it now at the special price of $2.99. PhotoForge2 Back to School Sale! There is a lot to do in PhotoForge 2. You have many effects and extra. I bought this because now it is cheap. At full price, I don’t think I would buy, because I have many other app doing more or less the same. 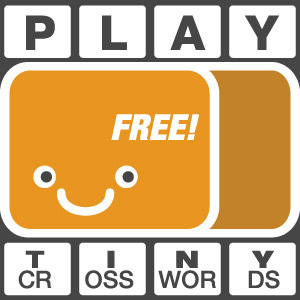 It is true that this app does everything you can do with more apps together, but it’s still too much for iphone.